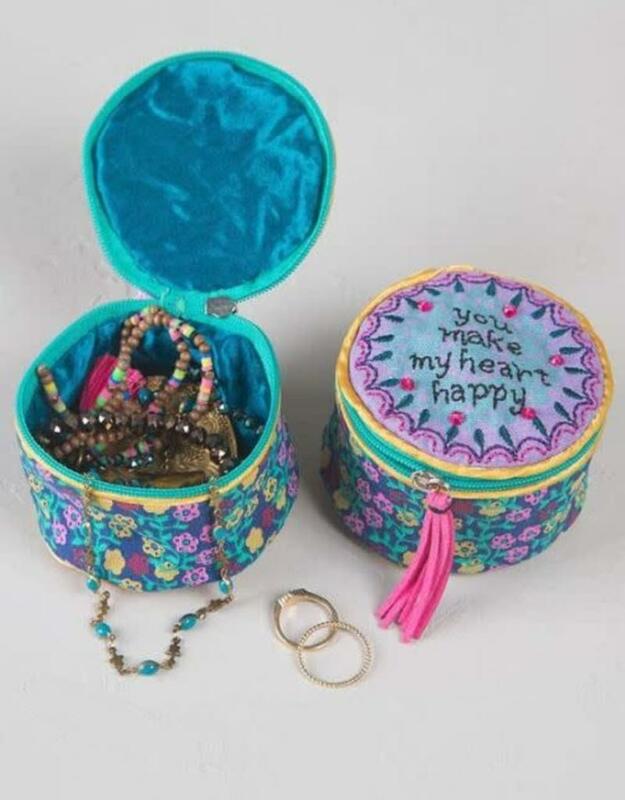 Keep your littlest treasures safe in our embroidered and embellished Jewelry Rounds! Each one has a tassel, a heartfelt sentiment and is roomy enough to fit multiple pieces! Use one for storing jewelry at home or while on the go! Features embroidery, rhinestones and vegan leather tassel zipper pull.